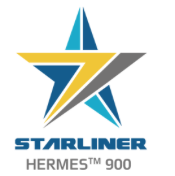 From missions that include the Civil Aviation Authority certified flights in Masada National Park, Israel, to the Swiss Armed Forces, events that involve civilian and military expertise, the new Hermes™ 900 StarLiner, has been developed. This is a Medium Altitude Long Endurance (MALE) Unmanned Aircraft System (UAS) that features adverse weather capabilities and is fully compliant with NATO’s Standardization Agreement (STANAG) 4671, qualifying it to be safely integrated into civilian airspace and fly in the same environment with manned aircraft. 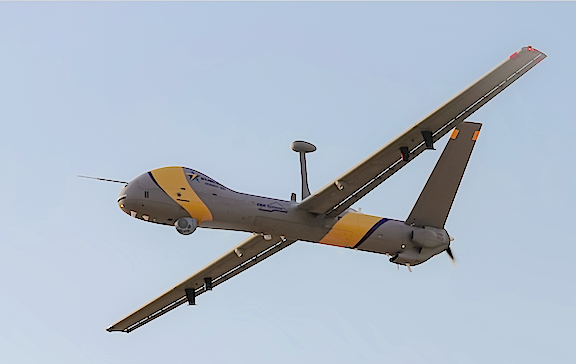 Elbit Systems launched the Hermes™ 900 StarLiner, a MALE UAS that features adverse weather capabilities and is fully compliant with NATO’s STANAG 4671, qualifying it to be safely integrated into civilian airspace and fly in the same environment with manned aircraft. This was the result of an extensive year-long flying schedule, in which the Hermes 900 StarLiner has been performing Civil Aviation Authority certified flights in Masada National Park, Israel. A series of the Hermes 900 StarLiner (known as Hermes 900 HFE in the Swiss program) is currently being assembled for the Swiss Armed Forces and is scheduled to be delivered and integrated into Switzerland National Airspace (NAS) during 2019. Because of numerous security events, such as the dismantling of ISIS and diverse geo-political tensions, this has been the impetus of European countries to re-orient defense efforts from involvement in far-away conflicts to coping with intensifying homeland and border security challenges. This shift has resulted in a growing demand for advanced UAS that can be safely integrated into civilian airspace and provide the technological capabilities that are required to effectively and safely perform complex homeland and border security missions. Meeting the strict safety and certification requirements of non-segregated airspace regulations required all the components of Hermes 900 StarLiner to be designed in full compliance with STANAG 4671 and to incorporate the most advanced aviation technologies, including: cooperative and non-cooperative Detect & Avoid Systems, Train Avoidance Warning System, Automatic Take-off and Landing in near zero visibility, redundant broad bandwidth line-of-sight (LOS) and beyond line-of-sight (BLOS) data link and adverse weather capabilities such as de-icing and direct lightning strike sustainment. These technological enhancements allow the aircraft to operate in both visual and instrument meteorological conditions, and its powerful heavy fuel engine provides improved climb rate, extended endurance and higher ceiling and maximum speed. Elad Aharonson, Executive Vice President and General Manager of Elbit Systems ISTAR Division, commented that anticipating the rising security need for operating unmanned aircraft in the same environment with civilian manned aircraft enabled them to achieve this breakthrough. They are committed to maintain their approach of technological innovation based on an extensive operational experience and provide their customers with advanced yet mature systems that enhance effectiveness and safety when coping with the evolving national security needs. Company officials will be available during the Farnborough Airshow July 16-22. to provide briefings on the Hermes™ 900 StarLiner at Hall 1, booth # 1354.